Had enough of the meat feast that has been holiday season? Eaten more turkey, ham, goose and sausage rolls than you can possibly contemplate and need a break? Here’s a great way to start your New Year on a lighter note. 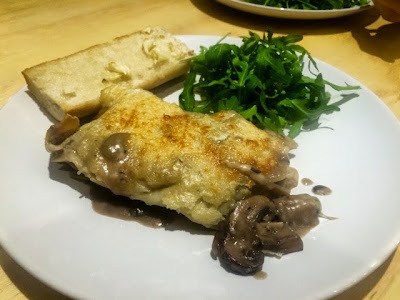 My mushroom lasagne is a good substantial meal that provides a lighter option when you need a break from all those roast dinners. It’s also a great option for vegetarian guests that meat eaters will enjoy too. This would make a great dinner party dish served with an Italian dressed salad and some homemade garlic bread or is equally as good as a healthy family dinner. 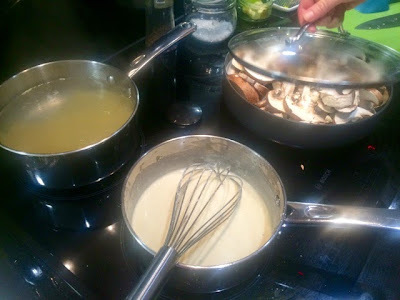 Mushrooms and pasta are two of my favourite things and I was inspired to make this dish after watching Ina Garten make a mushroom lasagne on Barefoot Contessa. It’s such a simple dish to put together it’s quick enough to do for a mid week meal as well as feeling special enough to serve to guests. 2. 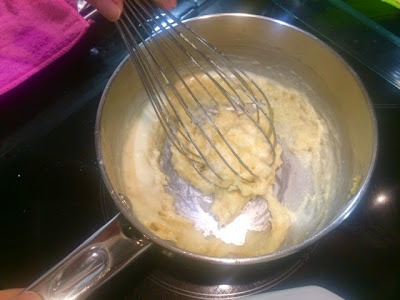 Begin by making the roux. Melt 2tbsp of butter in a saucepan and stir in the flour until a paste is formed. 3. 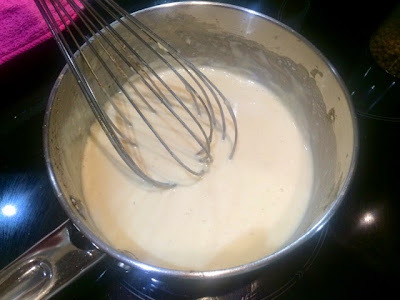 Add the milk a little at a time until all of the milk is combined with the roux. Season with salt and pepper and add grated nutmeg. 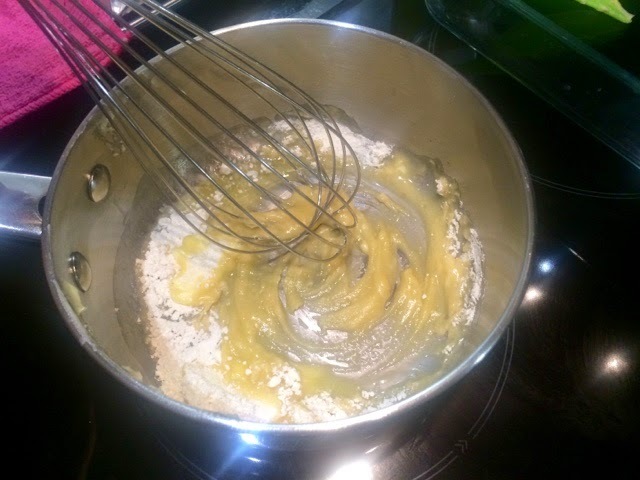 Continue to whisk until the mixture thickens and becomes more of a creamy consistency rather than watery. 4. 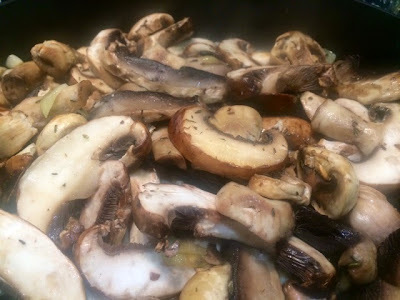 Add the mushrooms, onions and garlic and oregano to a large frying pan with a little butter. 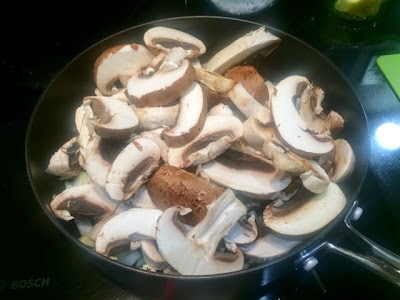 Sauté until they begin to soften. 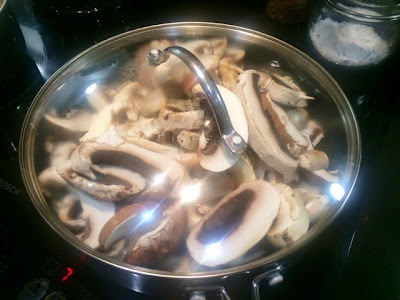 Cover with a lid to retain moisture while the mushrooms cook. 5. Meanwhile cook the lasagne sheets in a large pan of boiling salted water. Add a little oil to prevent the sheets from sticking together. 6. 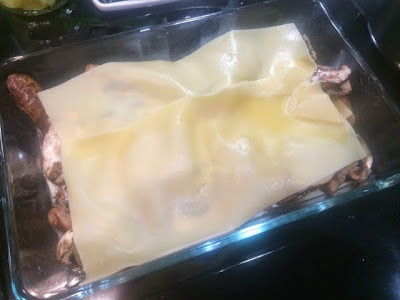 When the mushrooms and the pasta are cooked you can begin to layer the lasagne. 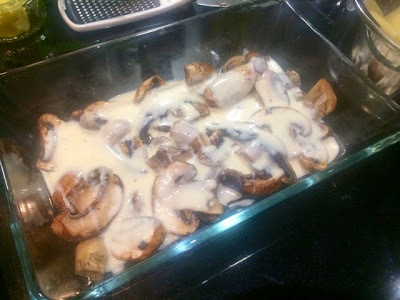 Assemble with a layer of mushrooms first, then cover with the white sauce followed by a layer of lasagne sheets. 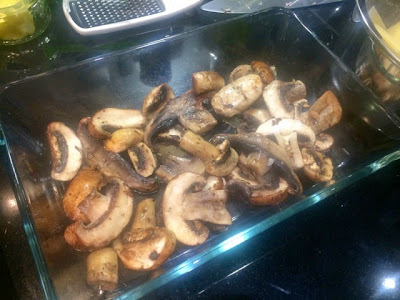 Repeat until all of the mushrooms are used up. 7. 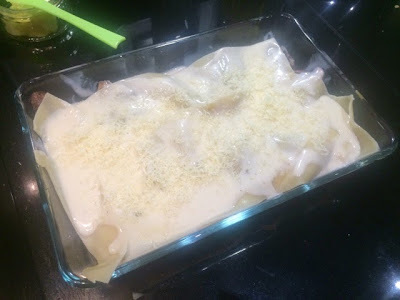 On top of the final layer of lasagne sheets pour the remaining sauce and cover with grated cheese. 8. 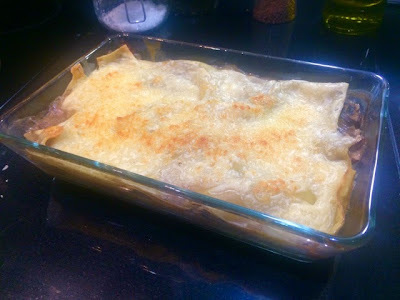 Bake in the oven for 30-40 minutes until the top of the lasagne has gone golden and slightly crispy. Serve with homemade garlic bread and a rocket salad.